General description : 2004 Chevrolet SSR Custom Pickup Nowadays seeing a large car manufacturer like Chevrolet put out a modern retro classic isn't uncommon but back in the early 2000s this was a pretty new concept. 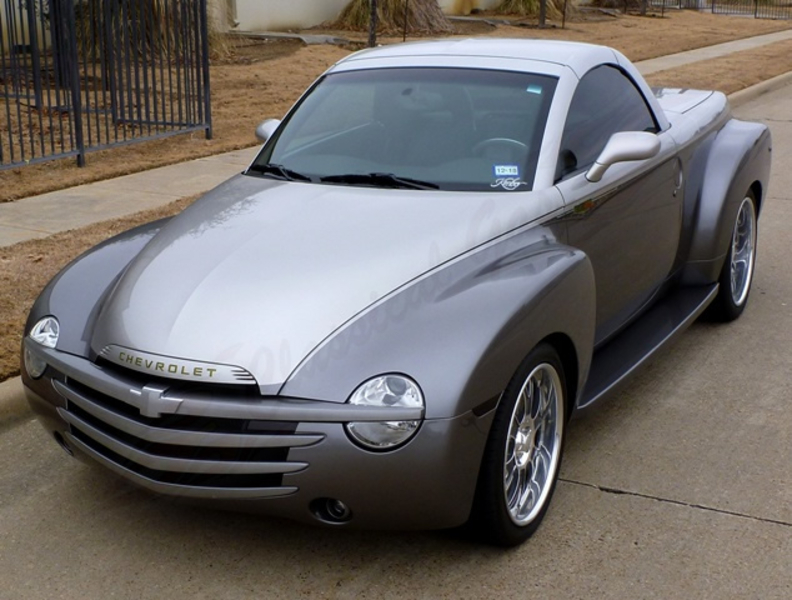 When 2003 rolled around Chevrolet unveiled the SSR pickup. 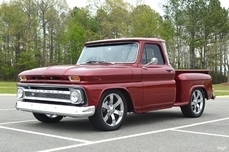 These trucks featured a sportier look than your typical pickup and incorporated things like wide separated fenders for that retro feel. 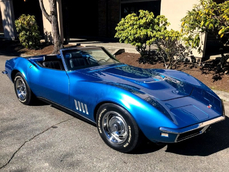 Their inspiration was the 47-55 pickups in particular and when you start noticing things like the grill and circle headlights it becomes really apparent. Even the front emblem has the look of the emblems you find front and center on those 50s classics. These trucks are no longer being made and production spanned from 2003 to 2006. Due to the unique style and low production numbers (24,112) these have actually gained quite a following and there are now entire clubs of SSR enthusiasts. This 04 SSR takes the unique appearance Chevrolet created and really steps it up a notch. Something about the stance of this pickup along with the customizations really make it stand out from other SSRs. The truck has been very well maintained since new and has only been driven 23,635 miles. It features a custom 2 tone light and dark metallic Grey paint that accentuates the body lines and looks really good. Custom airbrushed graphics also run down the sides and were very well done. 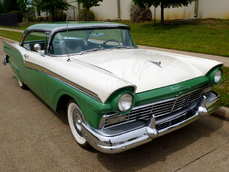 Some components like the front grill original featured a chrome strip but they have been painted to match the body color. One of the most notable features of these trucks was the power retractable roof which is still working properly and seals up well. 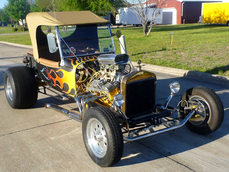 These pickups were original released with 18 inch front wheels and 20 inch rear wheels but this one has received a custom set of larger Bonspeed wheels (20 inch front, 22 inch rear.) These trucks were built to be more than just looks because the drivetrain was built with performance in mind as well. From the factory a 5.3 300hp Vortec 5300 V8 motor got those wheels spinning and moved from 0-60 in 7.7 seconds. For comparison that is the same 0 to 60 as a 2014 BMW X3. There is one more important detail to mention though. That is the stock time for the motor but this one has a little extra under the hood. A supercharger is in place on and makes it perform even better. The truck runs extremely well and has a lot of power. Paired with the motor is the stock automatic transmission and rear end. As we mentioned before, the stance of this truck really sets it apart. These trucks look great riding low to the ground and it gives them a sleek modern appearance. You see a lot of these that sit really tall and it just doesn't look as good. Air ride has been added under all four corners so whether you like it tall or low, it is entirely up to you. The height is adjustable and you can tune it in for the perfect ride going down the road. The interior of the car is done in Black leather and the bucket seats are very comfortable. There are nice Silver accents throughout and it mostly has the stock layout. The only major interior customizations were the additional of the Air Ride controls. If you want a truck with a little more style than most this is definitely one to check out. Plus with the low production number unique cars like this could very well be the collector cars of the future. There weren't many of these made and even less customized as nicely as this one. 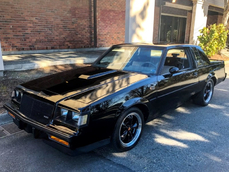 Make it yours for $32,500.00! 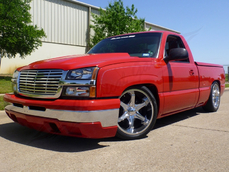 2004 Chevrolet Pick Up Supercharged 5.3L Vortec V8 is listed sold on ClassicDigest in Arlington by Classical Gas for $32500.